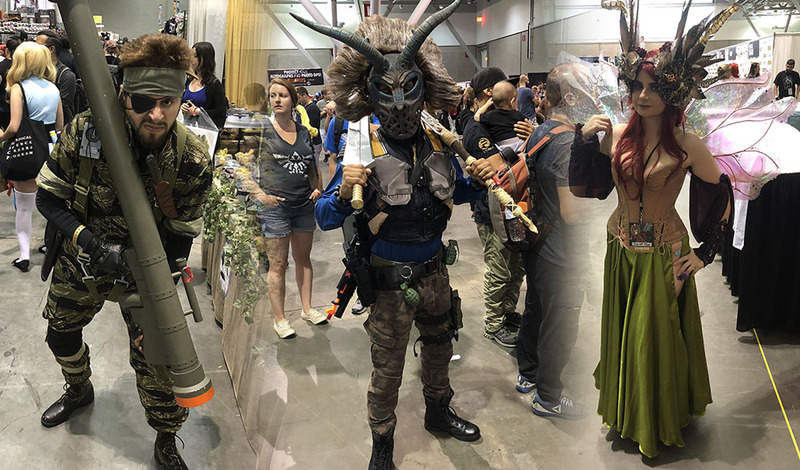 Best of Fan Expo Boston Cosplay [Part Two] – AiPT! The stunning conclusion to our cosplay gallery experience at Boston FAN EXPO! AiPT! attended FAN EXPO Boston over the weekend and one of our biggest takeaways was the incredible amount of talented cosplayers in attendance. We took tons of pictures and met so many friendly cosplayers that were nice enough to let us feature their hard work. We’ve had to create two separate posts to ensure we could feature all the pictures we took. You can view the first gallery here, while part two starts right now. Enjoy! Why’d you have to go and fall in love with an 11 year old? Find her on the Arrowverse as the cutest red, white and blue hero in all the land. This guy made this cosplay for the book he wrote. Talk about dedication! Lots of prime bounties to be found at Comic Cons.